You've seen the lights on your dashboard: Check Engine... Service Engine Soon... ABS... Check Trans... OD Off... or maybe just an outline of an engine or transmission. They're all warning lights to indicate a problem in the computer controls for that system or device. When the light comes on — or starts flashing — it indicates that the computer has identified a problem in that system... a problem that needs to be diagnosed. But that's led to a serious misconception... one that can cost you a bundle if you aren't careful. That's because a lot of folks are under the impression that, when the light comes on, the code stored in the computer system tells you what's wrong with the car. Nothing could be further from the truth. But that hasn't stopped a bunch of parts stores from offering to "diagnose your computer system" by retrieving the codes with a code reader and then selling you the parts those codes indicate. That's a problem because those diagnostic trouble codes only indicate that the computer is receiving a signal that's outside of normal range. It could mean there's a problem with the sensor, but it could mean something else entirely. Replacing the indicated sensor without further diagnosis may have you throwing money at a problem that isn't really there. The technicians at your local Cottman center know the difference between a computer code and computer diagnostics. They understand that a code is just an indicator, and they know how to use that indicator to guide them to the root cause of the problem. So, when you bring your car to your nearby Cottman center with a computer system light on, you can be sure that you'll never pay for a sensor unless that sensor is really bad. 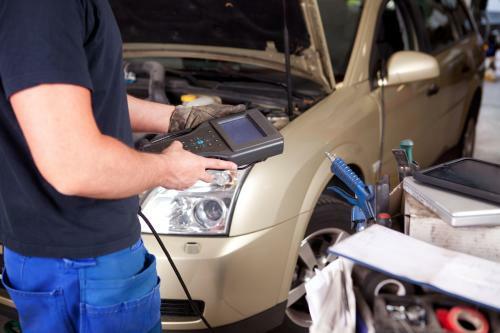 You'll only pay for legitimate diagnostic procedures and necessary repairs. Nothing else. If you see one of those annoying lights on your dash come on, give your local Cottman a call. They know how to diagnose the system and fix it properly. Identifying a computer system problem is a lot more involved that simply pulling the codes.